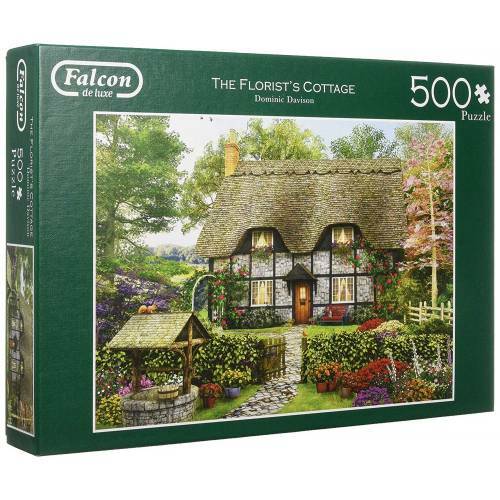 ‘The Florist’s Cottage’ is the title of this stunning 500 piece Falcon de luxe jigsaw puzzle, which is part of the Falcon de luxe Cottages collection. 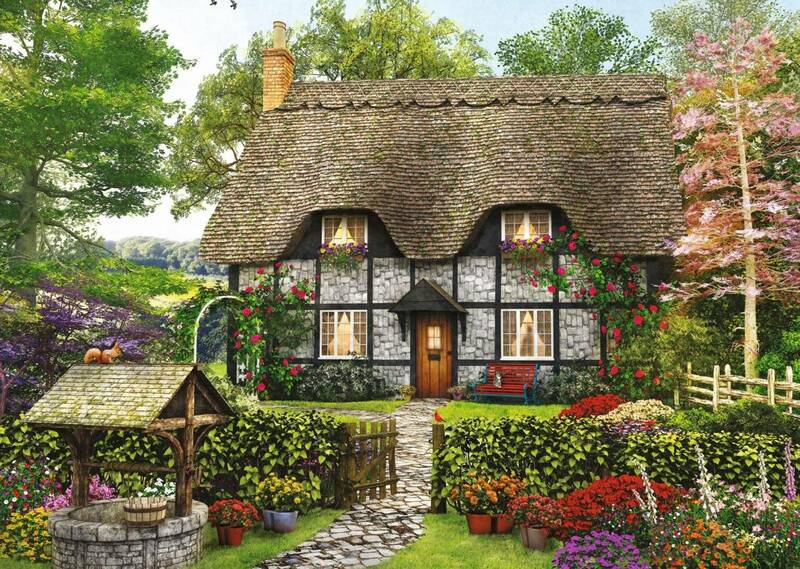 The puzzle image captures a picturesque scene of a cottage covered in beautiful red roses on a wonderful summer morning. The cottage is very pleasing on the eye, as it sits nestled in the countryside with wildlife everywhere to be seen, including the adorable little red squirrel sitting on the water well. It’s very clear that the florist who lives in this cottage is extremely passionate about flowers as the garden is bursting with brightly colourful plants. 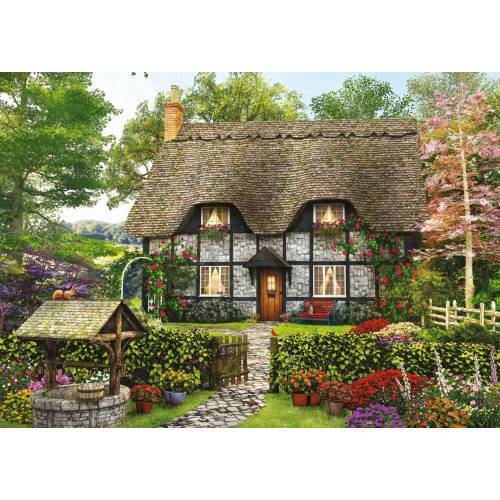 This Cottages 500 piece jigsaw puzzle has been illustrated by the very talented artist – Dominic Davison. 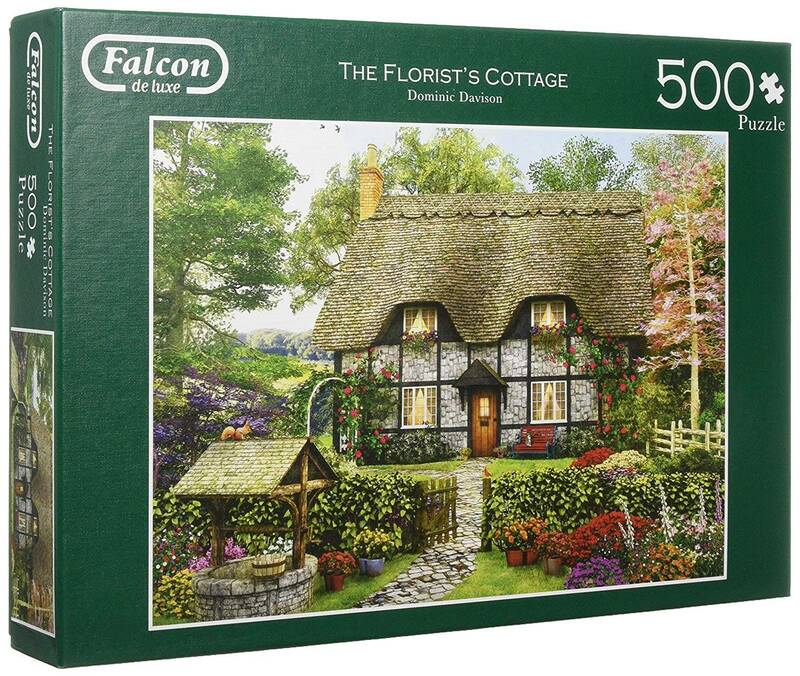 The finished size of the 500 piece jigsaw puzzle measures 49 x 35cm (approximately) and has been produced using a high quality cardboard to ensure every jigsaw piece maintains its original shape and creates a poster-like finish to be enjoyed. Today’s Falcon de luxe puzzles are designed and crafted with the same passion for excellence that we have always had. They celebrate Falcon’s distinctive brand values of heritage and innovation. We choose only the most suitable illustrations for our jigsaws. We die-cut each jigsaw piece carefully, so when the jigsaw is completed, it looks more like a poster than a puzzle. Making jigsaws has always been, and will always remain, our passion.